11:00 a.m. to 4:00 p.m. Spiritopia Craft Spirits "Beginning with the Philosophy of Balance, I set out to create the world's finest sipping ginger. ", Chris the Spirit Chemist. Sample the unique flavors of liqueurs made by Corvallis-based Spiritopia Craft Spirits. 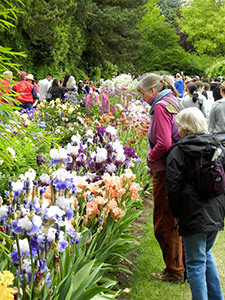 12:00 to 1:00 How to Dig & Divide Iris, live demonstration. 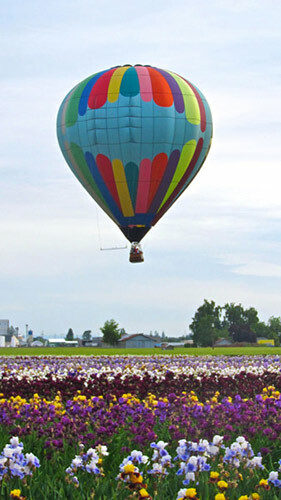 Noon to 5:00 p.m. Wine tasting by Anne Amie Vineyards. 10:00 a.m. to 4:00 p.m. Sample the unique flavors of craft spirits made by Corvallis-based Spiritopia Craft Spirits. 11:00 a.m. to 12:00 p.m. and 2:00 p.m. to 3:00 p.m. 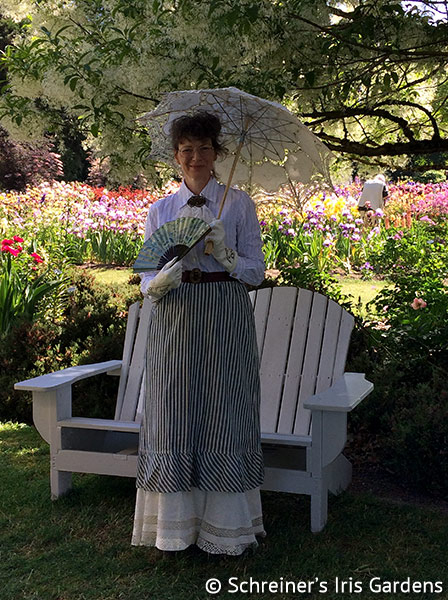 The Language of Flowers, a presentation by local antique expert Lisa Hand of Wild Horse Antiques. Victorian & Edwardian Language of the Flowers Tradition, Remembrance, Sentiment and Beauty communicated through the elegance of living blooms. 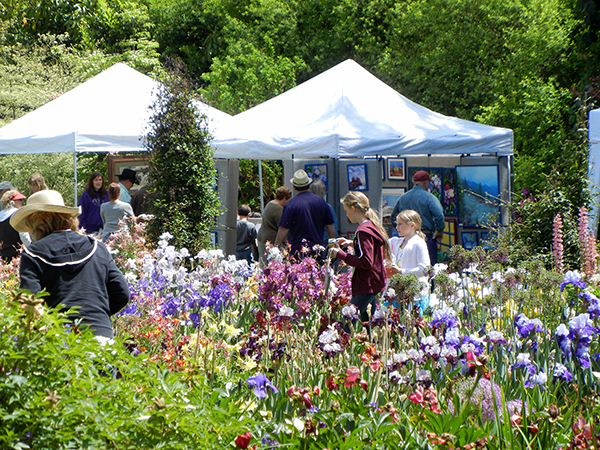 Also Sunday, 11:00 a.m. to 4:00 p.m., join the Tussie Mussie Floral Bouquet Workshop - a whole conversation you can hold in your hand. 10:00 a.m. to 4:00 p.m. 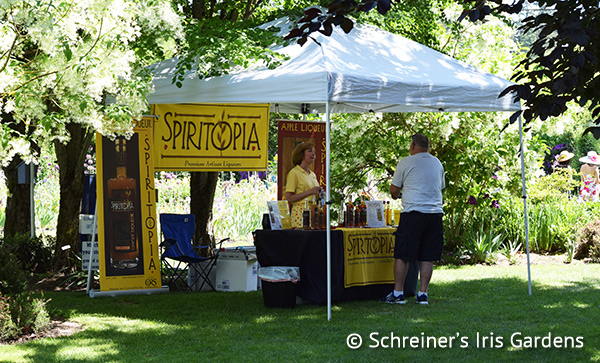 Sample the unique flavors of craft spirits by Corvallis-based Spiritopia Craft Spirits. 11:30 to 4:00 Chicken BBQ by the Gervais Knights of Columbus. (BBQ meal for $12 (includes a 1/2 chicken, coleslaw, baked potato, and beverage). Mt. Angel Sausage Co. will serve sausage and other tasty items on site all weekend.